Austin’s floodplains are the areas likely to flood when our creeks rise and flow over their banks. Every creek and lake has a floodplain, regardless of whether it is mapped or not. Our office maintains floodplain maps and hydrologic and hydraulic models, administers floodplain regulations, provides information to help protect property from floods and reviews applications to build or remodel in the floodplain. The work we do ensures that Austin is compliant with FEMA rules, protects lives and properties, and allows Austin residents access to more affordable, federally-backed flood insurance. Floodplains change over time due to development, capital improvement projects and other factors. We periodically restudy watersheds to keep pace with such changes. 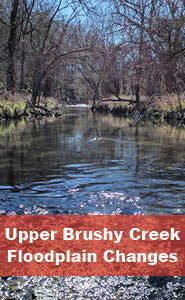 We are currently studying the Onion and Upper Brushy watersheds. 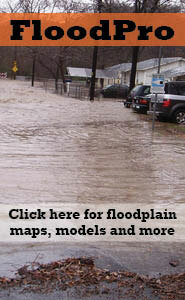 Austin residents are eligible for up to 20% off flood insurance because of the Floodplain Office's activities.